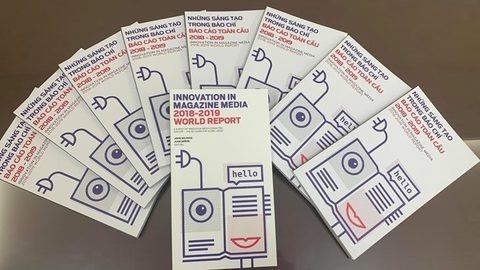 HÀ NỘI — The Vietnam News Agency (VNA) has made the Innovation in Media 2018-2019 World Report available in Vietnamese. The 9th edition of the report is produced by the International Federation of the Periodical Press (FIPP) in partnership with Innovation Media Consulting Group. The Innovation Report covers a wide range of issues from new opportunities in content distribution and monetisation to media technologies, new digital storytelling platforms and the best business models. The report serves as a useful handbook for media outlets’ managers, reporters and editors as well as corporate communications workers to adapt to a changing world. It is rare to have such an important report on journalism translated into Vietnamese.